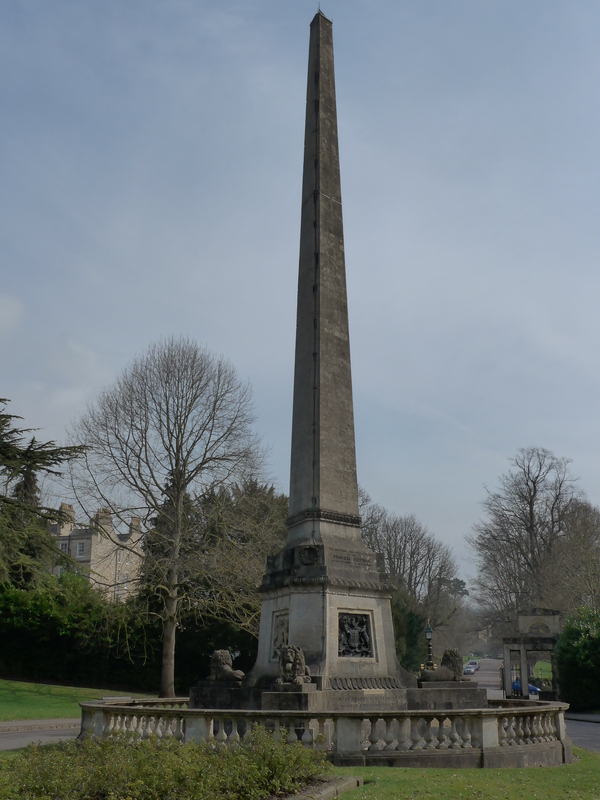 This is NOT the Bath moon rocket, it is the memorial put up by “The Inhabitants and Visitors of Bath to the PRINCESS VICTORIA on the attainment of her majority. 24 May 1837.” It stands in the entrance to Royal Victoria Park. Obviously.